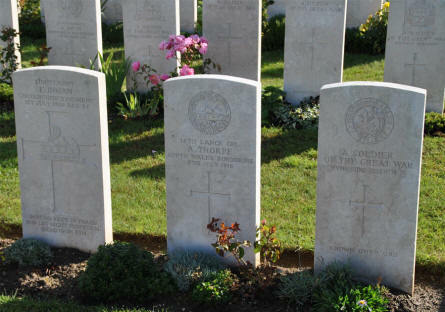 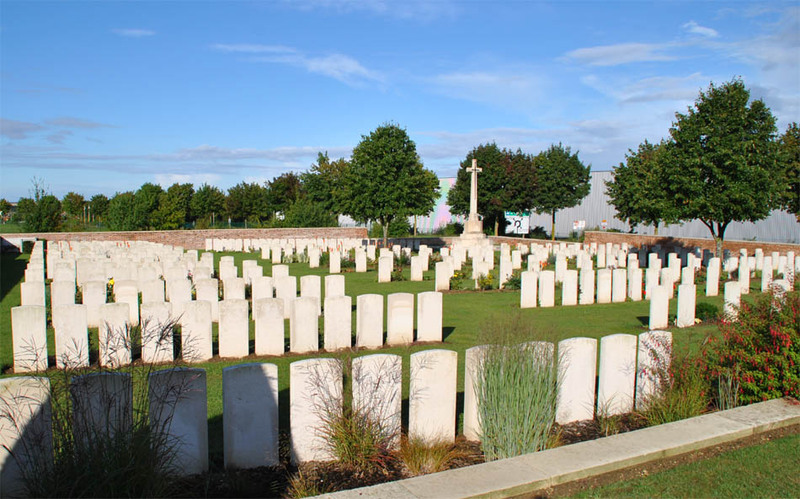 The Bapaume Post Military Cemetery is one of the many smaller and medium size Commonwealth war cemeteries in the Albert area. 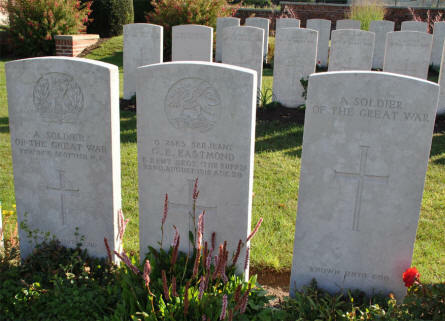 The cemetery contains 410 Commonwealth graves from World War I - and is located just north east of Albert - on the D929 road. Some of the many different World War I graves at the Bapaume Post Military Cemetery just east of Albert. 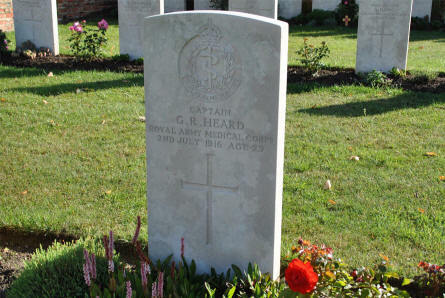 The World War I grave of Captain G. R. Heard (Royal Army Medical Corps - killed on the 2nd of July 1916) at the Bapaume Post Military Cemetery just east of Albert. The World War I grave of Serjeant G. E. Eastmond (killed on the 22nd of August 1918) at the Bapaume Post Military Cemetery just east of Albert. 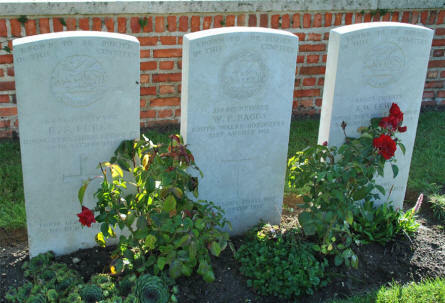 His grave is flanked by to "unknown" graves. The Bapaume Post Military Cemetery just east of Albert. 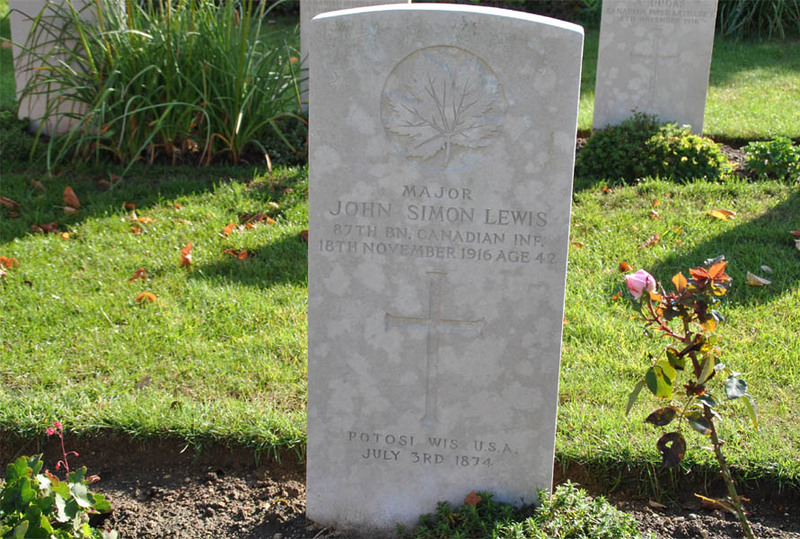 The World War I grave of the Canadian Major John Simon Lewis (killed on the 18th of November 1916) at the Bapaume Post Military Cemetery just east of Albert. Three "Known to be buried in this cemetery" World War I graves at the Bapaume Post Military Cemetery just east of Albert.